Monday is Memorial Day, a federal holiday observed on the last Monday of May to honor the men and women who died while serving in the U.S. military, so in addition to bar-b-ques and fun with friends, please take a moment to ponder the true meaning of the day. Our service men and women have done so much for us! I’m going to veer away from culture for a moment because I feel I would be remiss in not addressing the state of our nation. I started this blog when my kids were little and now my younger son is about to graduate. He goes to a large public high school and I have been increasingly upset about the school shootings happening around our country – not only because he is at risk but also because of the tragedy of young lives being cut short. When Santa Fe happened last Friday, I broke down. And then I looked for ways I could help. As an “info-preneur,” I knew I could share information. Please read what Casey Fleming, a Houston mom and teacher, wrote beautifully and eloquently in response to Santa Fe, here. 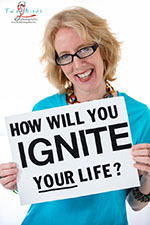 She says our exhaustion absolutely cannot lead to paralysis (I agree!) And here’s an article on Houston Police Chief Art Acevedo, who said in a recent Facebook post – “I know some have strong feelings about gun rights but I want you to know I’ve hit rock bottom.” If you are concerned and would like to do more, please check out these organizations: Brady Campaign to Prevent Gun Violence; Coalition to Stop Gun Violence; Everytown for Gun Safety; Giffords Law Center to Prevent Gun Violence; Moms Demand Action; and Violence Policy Center. Sensible gun control is not an end to the Second Amendment – instead, I see it as a way to save lives. I hope you will join me. 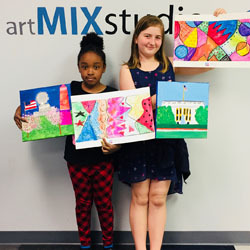 It’s a fun holiday weekend and the perfect time to celebrate artmix’s new location, at 2522 University in the Rice Village (in the former G&G Model Shop store). Owner Jacqueline Kenneally is SO excited about this move and is ready to show off their beautiful new studio space! Drop by this Saturday, May 26, from noon-5pm. There will be an ice cream and treats party from 1-3pm with yummy Ben & Jerry’s ice cream and cookie decorating with Michael’s Cookie Jar. And, of course, there will be plenty of artmix summer-inspired crafts activities. 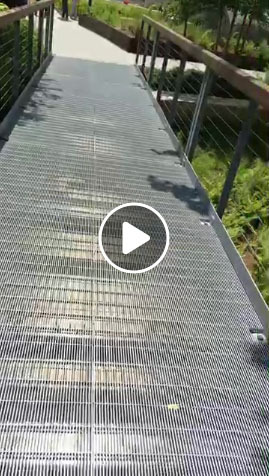 While there, sign your kids up for summer camps, which run from May 29 through August 31. 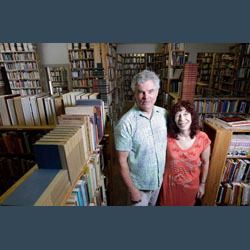 Kaboom Books owners John and Dee Dillman are opening their doors today, May 25, from 7-9pm for “Poetry of the Imagination: A Science Fiction and Fantasy Poetry Reading” that is co-hosted by the Science Fiction and Fantasy Poetry Association (SFPA); Writespace; Comicpalooza; and Kaboom Books. It’s the 40th anniversary of the Science Fiction and Fantasy Poetry Association (SFPA) so they are celebrating with an evening of speculative poetry featuring SFPA President Bryan Thao Worra along with several Texas-based writers. 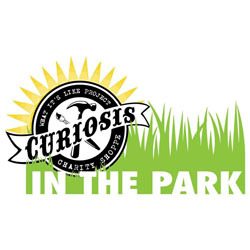 Join the What It's Like Project for their first ever “Curiosis in the Park” event at Memorial Park this Saturday, May 26 from 11am-3pm. The mission of the What It's Like Project is to build community and to remove the stigma of mental illness though the arts; Curiosis is their charity shop on wheels. There will be handcrafted art, information about the nonprofit’s work, and an amazing family day featuring a live DJ, games, yoga, food trucks, and much more. There's a new state-of-the-art gallery in the Cullen Hall of Gems and Minerals at the Houston Museum of Natural Science and the first installation in the gallery is the new special exhibition “Fabergé: Royal Gifts,” featuring the McFerrin Fabergé Collection. Currently numbering over 600 pieces, it’s the largest private collection of Fabergé in the world – a treasure trove of objects reflecting the artistry of the Fabergé firm. “Fabergé: Royal Gifts” explores the international politics, diplomacy, economics, and innovation in the 19th and early 20th centuries. 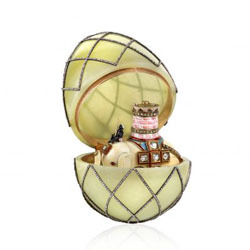 Beginning with the magnificent crown jewels of Catherine the Great, the development of Peter Carl Fabergé’s techniques and inspiration are explored. The collection will be on permanent display. Are you ready for some FREE family fun? 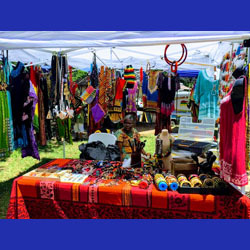 This Saturday, May 26, from 11am to 7pm, come out for the SHAPE Community Center’s 39th annual “Pan-African Cultural Festival,” organized in recognition of African Liberation Day. This year’s theme, “Liberation and Unification,” will be celebrated with live music, lots of food, vendors, and a petting zoo for the children! The event takes place at “Our Park” and SHAPE Community Center located at 3815 Live Oak Street. 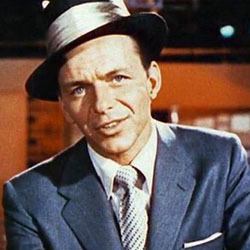 This Sunday, May 27 from 3-5:30pm, enjoy music by “Ol’ Blue Eyes” Frank Sinatra at the Music Box Theatre as Rickey Davis Productions presents the “Songs of Sinatra Variety Show.” This ode to Sinatra’s Classic Big Band songs will feature Sinatra “Tribute Artist” Rickey Davis along with classic comedy, trivia shows, and vintage radio adventures with live classic style commercials. Tickets $30 and $40 and can be purchased here. 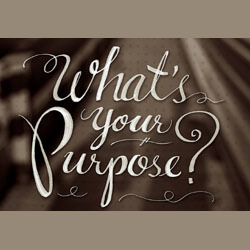 Please join me and astrologer/body healer Gandhari Bouligny on Sunday, June 3 from 2-4pm for “What’s Your Purpose?”– a super fun interactive workshop at Body Mind & Soul, 7951 Katy Freeway. This is the class for you if you are wondering what your purpose in life is! Gandhari and I will talk to you about ways to follow your heart and to uncover who you really are, using tools from astrology, Ayurvedic medicine, and personal intuition. I will guide everyone with salient questions designed to open the mind and each person will learn about their Ayurvedic body type. Each participant will also learn about their special astrological characteristics and will be given their life path number from Gandhari. We’ll start out by dancing and singing and we promise you’ll have a BLAST! You will walk away with a better understanding of yourself and your life vision and with concrete ideas on how to become who you are truly meant to be. The class is $50 and advance registration is requested; click here for more information and to register or call the store at 713.993.0550. I also work as an intuitive guide at the store on Mondays; call them at ‪713.993.0550 to book an appointment. NEW: I am now doing guidance sessions by telephone – we can connect from anywhere, anytime! Call me at 713.492.1173 for more information about that service. The cost is $100/hour and $50/thirty minutes for both in person and on the phone sessions.